Whether you want to promote your company's brand, thank customers, generate prospects, recognize employees or raise funds, promotional items are the hot ticket to success. 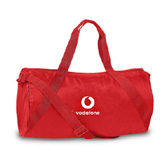 When it comes to choosing what kind of gift to get, consider time-honored promotional bags. What makes bags such a strong contender in imprinted gifts? It's their virtually infinite usability and versatility. Business Conference or Trade Show Booth Giveaway: Attendees need a bag in which to carry their event program, note pads and other giveaways. What better way to spread your brand than by making sure the promotional bag they carry with them throughout the event prominently displays your logo? Sport-Related Activity or Event: What sport doesn't require an equipment bag, uniform bag or even locker-room bag? Let it be yours. What better way to ensure that your sport-industry brand is seen by your prospective customers? Shoppers: Every consumer shops for groceries. In today's environmentally conscious era, many shoppers carry their own recycled, reusable bags. Give out these promotional bags or totes for your next gift and get repeated exposure for your logo wherever and whenever your gift recipients shop. Travelers: Imagine your brand being boldly exposed in airports around the country or around the world. Soft-sided bags are often used as carry-ons to be seen in the airport and on planes. The market is full of choices of bags. You can pick from dozens of styles and colors to create the gift that fits your event, your budget, and your brand. Then you can double the power of your gift by putting a custom imprinted pen, pencil, highlighter or marker in the bag. 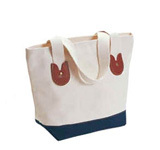 Choose a bag, tote or backpack with a pen loop and the recipient of your gift will see it as having even more value.